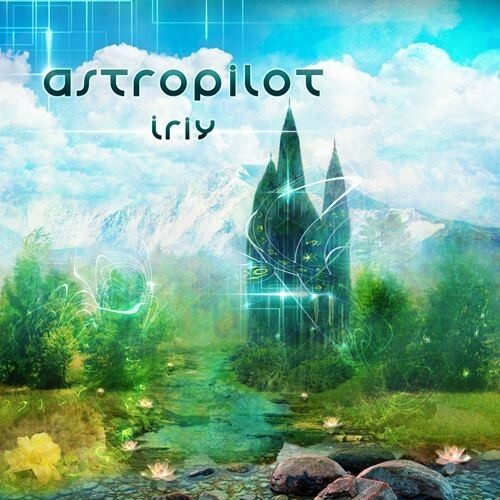 Dmitriy Red'ko aka AstroPilot, has outdone himself again with "Iriy". On this album and his last EP 'Midgard-Earth,' AstroPilot introduced us with magical symbolism to fit his new compositions and mood. Portraying a series of serious, synonymous, rich, and extremely well-polished levels of production done in 432Hz tuning. Dmitriy continues to redefine his signature sound through his inspiration of the symbolic sight within. We can all prophesy that there will never be an AstroPilot album to sound the same. Choosing to grace the design of his CD 'Iriy' with Svarogich, (a symbol of the heavenly power of god,) and Svarog, (whom preserves intact all the diversity of every life in the universe); these symbols protect all intelligent life forms from mental and spiritual degradation. From complete destruction, as a rational species. You are most welcome to listen and share another strong Altar psybient album. With 10 albums in 10 years, I assure you that this is going to become more mesmerizing with every listen. Enjoy!